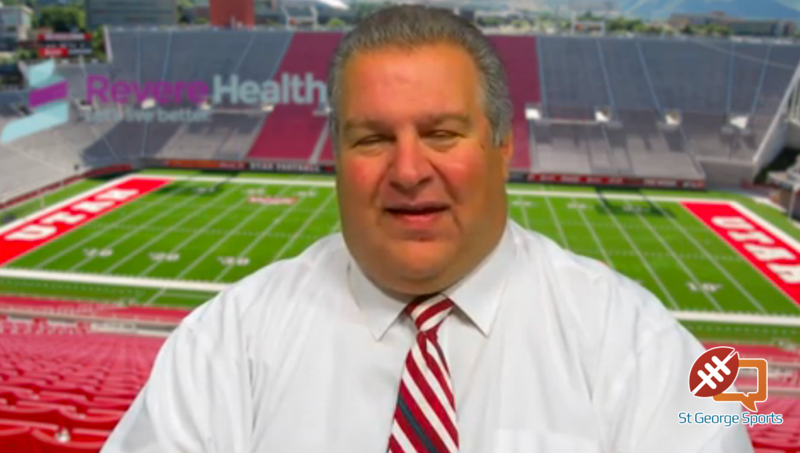 ST. GEORGE – The newest UHSAA realignment goes into effect this fall and high school sports fans have been buzzing about it since it was announced back in December. The state has moved to a six-classification system as part of an effort to balance competitiveness and school population sizes, which means the entirety of Region 9 (including Canyon View) is now 4A. Some of the rivals southern Utah teams have developed over the past few years will come along as well, including Park City, Stansbury and Bear River, among others. But the biggest news for southern Utah teams comes with the new rivals that will be formed in the reformed 4A classification. Region 10 will feature teams like Lehi, Mountain View and Spanish Fork, while Region 11 adds Bonneville and Juan Diego and Region 12 will flex plenty of muscle with Logan, Mountain Crest, Sky View and another new Logan school, Green Canyon (colors are green and silver and the GCHS mascot is the Wolves). In fact, the new 4A classification could very well turn into a battle of extreme south (Region 9) vs. extreme north (Region 12), a modern-day Utah civil war. So, what to think of the new 4A classification? Let’s take a look at each sport and what the championship races may look like. First of all, it’s significant that both Lehi and Juan Diego will not be competing in 4A in football. For whatever reason, the UHSAA has decided to let the Pioneers compete in 5A in football and the Soaring Eagle will drop down to 3A for football only. Of course, with the realignment, the 3AA classification is now defunct. The 3AA powers last year were Dixie, Pine View, Desert Hills and Stansbury. All four are now 4A, joining a fairly mediocre group in that class. Not one of the nine teams remaining in 4A from last year made it past the first round of the 4A playoffs. The most intriguing team is Sky View. The Bobcats were 5A last year, but a huge chunk of their student body will make up the new Green Canyon High, so they may struggle as well. Prognosis: The Cache County schools are still going through population transitions, so I think the 4A football title is still the south’s to win or lose (with a darkhorse nod to Provo and Orem). Bonneville, Mountain View and Salem Hills are the best holdovers from the old 4A classification, and with 3A champ Morgan staying in 3A, the top Region 9 teams (Desert Hills, in particular) might have a chance to win it all this first year. Sky View made it to the 5A semifinals last year, but again, the Bobcats will be decimated numbers-wise with Green Canyon opening up. Prognosis: This one could be wide open. Bonneville looks like a favorite, plus Sky View may get to keep its upperclassmen, which make the Bobcats a favorite. Park City and Juan Diego should also contend. Juan Diego beat Logan in the 3A championship and both are now 4A, as are Snow Canyon and Ridgeline, the other semifinalists. Sky View was a decent 5A team, but couldn’t get out of the first round of the playoffs. Of the 4A holdovers, Bonneville and Spanish Fork made it to the quarterfinals, but neither could move into the 4A semis. Expect the Lakers and Dons to be good again, but don’t be surprised if one of the 3A imports wins it all in 4A this coming year. To contend for the boys, teams need runners to come in at about 16 minutes or so on the three-mile course. In 2016 in 5A, there were 23 runners coming in at 16:10 or less and none of them were from new 4A schools. Last year in 4A, 26 runners made it in 16:10 or faster, but only one (Ogden’s Christian Warren) was an underclassman. 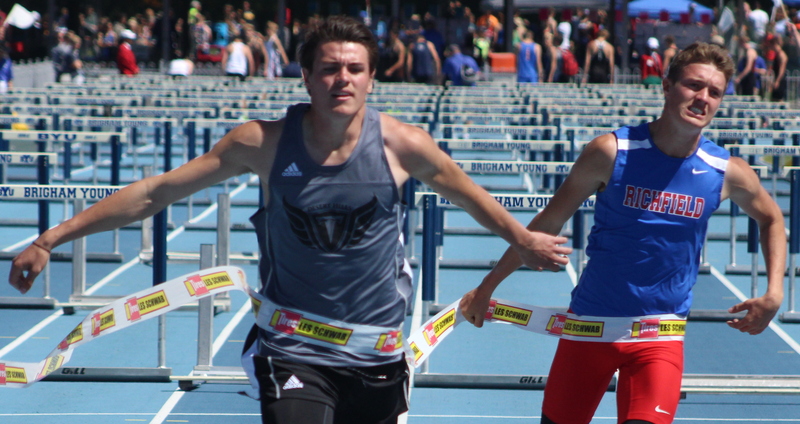 In 3A last season, there were just eight runners making it in that fast, with Hurricane’s Caleb Armstrong and Pine View’s Carson Horspool the only underclassmen. Prognosis: Generally, the larger classifications had faster times. But don’t be surprised if Desert Hills and Pine View emerge as the teams to beat, even with the step up to 4A. As for the girls, Mountain View is strong – very strong (second in 4A last year). But three south teams, Desert Hills, Cedar and Pine View, will be right there, too. Sky View brings an excellent boys golf team from 5A to 4A (the Bobcats were second to Lone Peak in the 5A state tournament) and Salem Hills and Bonneville finished 1-2 in the 4A ranks (the Skyhawks won by just two strokes). Add to that the perennial power of Juan Diego and good Logan and Pine View teams and this sport will ultra-competitive. Prognosis: The Miners won 3A by 42 strokes and, since 3A, 4A and 5A all played Soldier Hollow, comparing the scores is legit. Don’t bet against Park City come October. Sky View finished sixth in 5A and was young with just three seniors. In 4A, Orem tied for second with underclassmen leading the way. But Park City won 3A going away and the Miners did it with sophomores and juniors. Prognosis: Those private lessons and tennis clubs in Park City are doing the job. PC will likely win 4A. Again, there’s no way to tell how much the split is going to affect Sky View, but the fact is that the Bobcats have been very good at boys hoops for a very long time. Lehi also should be decent, going from mediocre in 5A down to 4A. The other 5A drop-down team, Mountain Crest, was not good. Of the remaining 4A teams, Salem Hills and Ogden were decent, but no one else stands out. 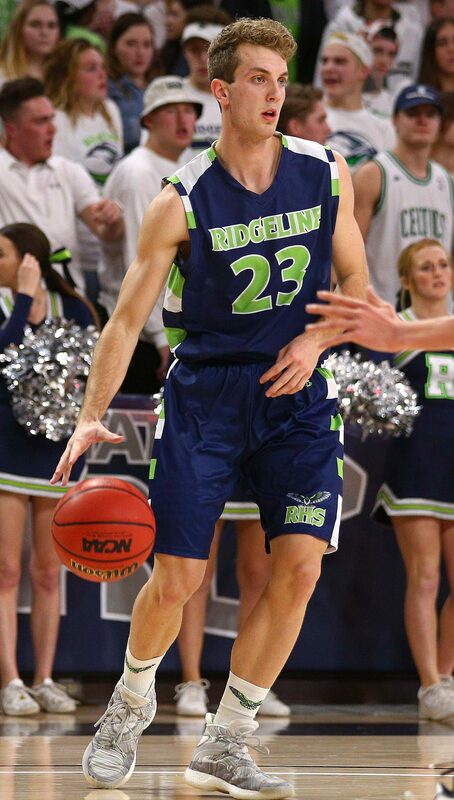 Ridgeline won’t have Jaxon Brenchley (Utah signee) anymore, but the defending 3A champ RiverHawks have an excellent program. In fact, all four 3A semifinalists (Ridgeline, Dixie, Desert Hills and Juan Diego) make for a strong argument that the former 3A schools could dominate in 4A. Prognosis: It’s worth mentioning that the previous foray into 4A by southern Utah schools (2007-2011) didn’t go well. 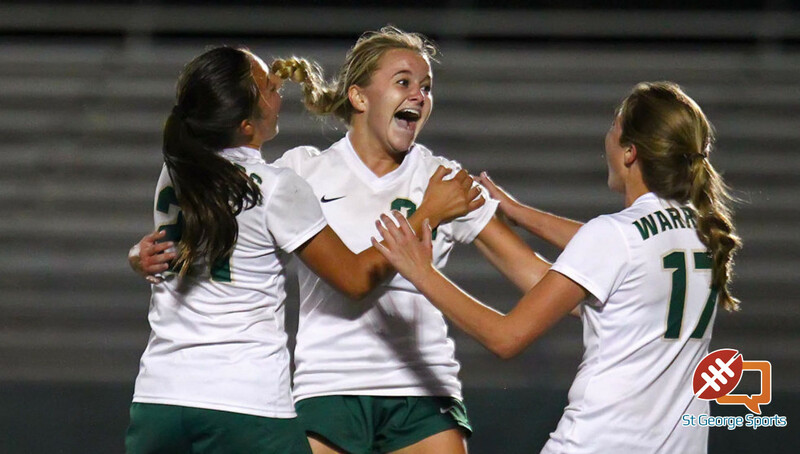 Even some very strong Snow Canyon teams couldn’t get past the quarterfinals. Why? One word – depth. The bigger the schools, the bigger the talent pool, and subsequently, the better players sitting on the bench waiting for their turn. I expect Lehi, Salem Hills and Sky View to be good, plus don’t be surprised if Orem and Mountain View contend. We play good ball in the south, but the pressure will be on to contend with the deeper 4A schools. Again, Sky View was excellent, going 20-4 and finishing in the top four in 5A. From 4A, Mountain View was very good, but faltered in the playoffs. Of the strength of 3A, Juan Diego, Carbon, Richfield and Morgan (the four semifinalists), only Juan Diego joins the southern Utah teams in 4A. Of all the sports, this one looks like the biggest question mark. Will Sky View be able to overcome the population hit? Can Mountain View reload? Is Juan Diego ready for the step up? Prognosis: Sky View and Mountain View seem like the teams to beat, but Cedar’s got its whole team back, and that includes some depth. Let’s just hope the UHSAA doesn’t make us all go to frigid Logan in February again for the state tournament. Like Sky View, Mountain Crest will give some of its students away to Green Canyon. But the Mustangs have been excellent grapplers for years and there’s no reason the 5A fourth-place team won’t do very well in 4A. Payson is another school that excels in wrestling (second in 4A last year), but be grateful Wasatch and Uintah moved to 5A. Salem Hills and Mountain View also have excellent wrestlers, so this sport will be tough for southern Utah athletes, especially when adding in Bear River and Stansbury, who were both good in 3A. Prognosis: It will be a great battle at the top, with Mountain Crest, Payson, Salem Hills and Mountain View fighting for the state 4A title, but southern schools will likely have to settle for some individual accolades. Last year in 5A, Sky View won state for the girls and Mountain Crest was second for the boys (too cold to go outside up in Smithfield/Logan? ), so already we have some favorites in 4A. Those two should be at the top, especially considering that none of the top 4A holdovers even finished in the top eight at 4A state. But the former 3A schools may make some noise here. Park City has been dynastic in swimming and Desert Hills and Cedar have been getting better and better. Prognosis: Can’t bet against the Bobcats and Mustangs, but Park City is so good that it would actually be surprising if the Miners didn’t do to 4A what they’ve done to 3A for years. Of the three 5A teams dropping to 4A, only Lehi was decent at baseball. 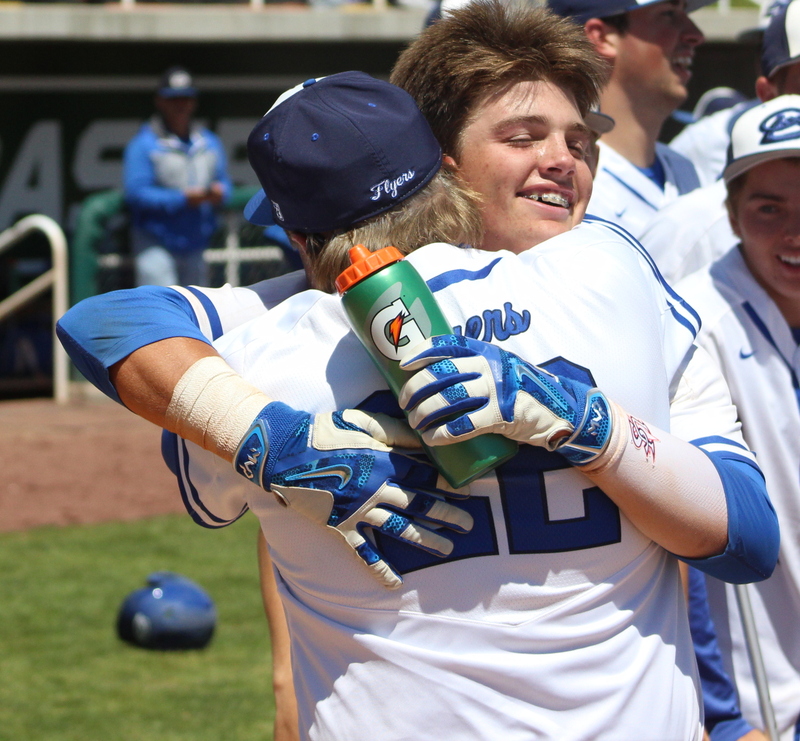 The Pioneers went 19-10, but never got out of the loser’s bracket after an early loss to Bingham. From 4A, Spanish Fork has a legendary program and was second in state last year, going 20-5. Salem Hills and Ogden were also decent, but let’s be honest, baseball in southern Utah is as good as anywhere in the state, regardless of classification (preseason tournaments bear that out annually). The 3A champ Dixie Flyers finished the year with 13 straight wins and should be one of the favorites to win in 4A as well. What a fight it will be at the top with the Pioneers, Dons and Flyers, with Salem Hills and maybe Desert Hills or Snow Canyon in the mix. Prognosis: The Dons and Flyers in an epic finale is the most likely scenario. From 5A, Lehi was pretty decent, taking second in its region and getting a win at state. 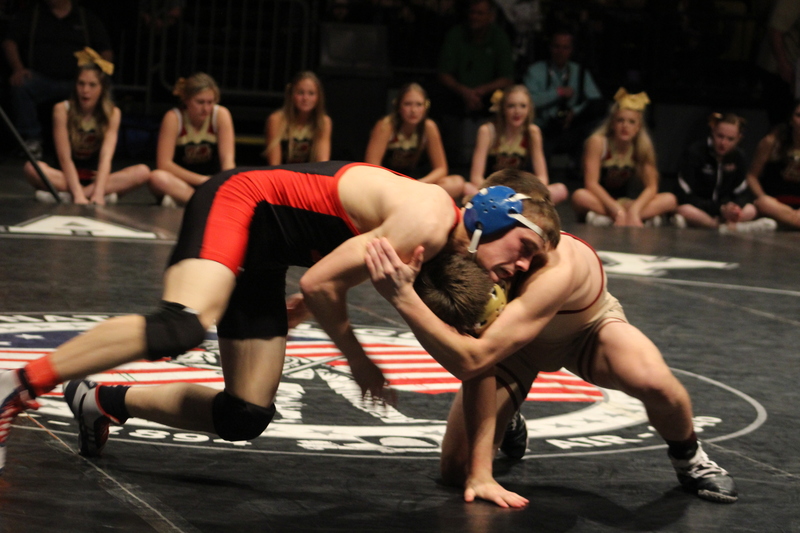 But this sport is all about 4A holdover Spanish Fork, which won 4A and went an outstanding 30-3. No one can compete with that, although three teams moving up from 3A have a shot in Bear River (second in 3A), Ridgeline (third) and Stansbury (20-10 last year). One interesting team will be Cedar, which graduated no seniors from this year’s undefeated Region 9 champs. Prognosis: The Lady Dons are the team to beat. Period. The Bears should be as close as they can get. But the Pioneers and Lady Reds are intriguing darkhorses. Don’t hold your breath for the 5A teams dropping down – none of them were any good last year. Among the 4A holdovers, only Orem and Ogden made it to the quarterfinals and both were ousted there. The upwardly mobile 3A teams are fascinating. All four semifinalists are now 4A (Ridgeline, Snow Canyon, Juan Diego and Logan) with the champ RiverHawks leading the charge. This might be the best case study of what differences lie between 5A, 4A and 3A. Prognosis: Truly, boys soccer may be as good as any sport for the 3As to move up and do well. Ridgeline and Juan Diego will both be good again and Logan and Snow Canyon don’t lose a ton. Plus, Dixie is always right there as well. Let’s start with the 3A teams moving up – Desert Hills has been phenomenal in boys track and field, winning the last four straight state 3A titles. But it’s not just the Thunder. It’s been 10 years since anyone other than a Region 9 team has hoisted the boys trophy in 3A. Can that continue in 4A? Well, yes. The Thunder were good across the board … and young, too. It may take the 2019 opening of Crimson High in Washington Fields to put a dent in the Thunder dynasty. As for the larger schools, Sky View, Lehi and Mountain Crest (the 5A drop-downs) are not strong, and the 4As staying in that class do not impress. Maybe Salem Hills and Orem contend, but that’s about it. For the girls, Desert Hills and Cedar were atop 3A and should be close in 4A. Provo and Orem were good in 4A, while Sky View and Lehi were OK in 5A. Prognosis: D-Hills is the team to beat in boys track, no question. For the girls, it will be more of a tight race with DH, Cedar, Orem and Salem Hills. Not much to worry about with the 5As that are stepping down, although Sky View did have a sophomore stud at first singles, with not much else. From the 4As, Salem Hills and Bonneville have some excellent young tennis talent. The 3A move-ups will be fascinating to watch. Bear River finally broke through to win its first state tennis title, which had been dominated by Park City, Juan Diego or one of the St. George schools for a decade. Add the Miners and Soaring Eagle to the mix, along with Snow Canyon, Desert Hills and the rest of the Region 9 contingent and things could get very interesting next spring. Prognosis: The fact that most of Bear River’s studs were underclassmen, the Bears should be considered a contender for the 4A title. Salem Hills was also young, so those two teams are the early faves. She doesn’t like to take credit, but Desert Hills coach Laurie Dyer has been amazing for the Thunder. Six weeks ago, she coached her team to its eighth straight state 3A championship, blowing away the field by 24 strokes. The Thunder had one senior on that team. 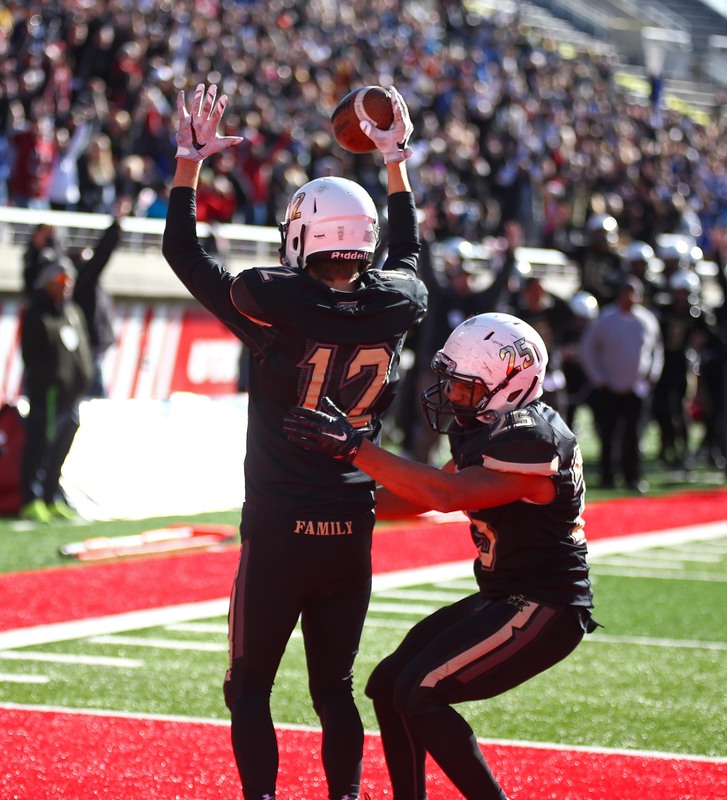 Bonneville and Orem are the only teams without an outside chance at unseating Desert Hills, which will have to try and continue its dynasty at the 4A level. Prognosis: Park City, Dixie and Snow Canyon will make some noise, and expect Orem and Bonneville to play decent golf. But only fool would bet against Dyer’s Thunder team. About 10 years ago local schools moved up to 4A for one season and then back to 3A the next year. I understand that this current change has most 3A schools moving to 4A and most 4A’s to 5A and most all of the 5A’s are moving to the new and improved 6A classification. So, local schools are moving to 4A but it’s not the big jump they took 10 yrs ago. State Titles in all sports are still within reach as before. You are right, sort of. As stated in the article, from 2007-2011 Dixie, Pine View and Snow Canyon played in the 4A classification. This time (again, as stated above), the whole region is moving up, as are eight other 3A schools. But there are nine current 4A schools staying behind in the new 4A, plus three current 5A schools which will move down to the new 4A. A state title will definitely be more difficult to obtain in most sports, but I like the move and I believe it will present new challenges and create new rivalries. Good Article, one slight correction. In Girls basketball Cedar graduated two starters, Lindsay Robinson and Maisie Elison. They do return most of their team however. On the other hand Hurricane returns every player from last year which placed 4th in region 9. Snow Canyon and Pine View like Cedar returns most of their teams which contended for state playoff berths last season.